Aluminium alloy mounting, very light but as strong as steel. Stainless steel blade of the highest grade, tempered ground & polished. Blade fastened with ten hard steel rivets. Soft grip handle. 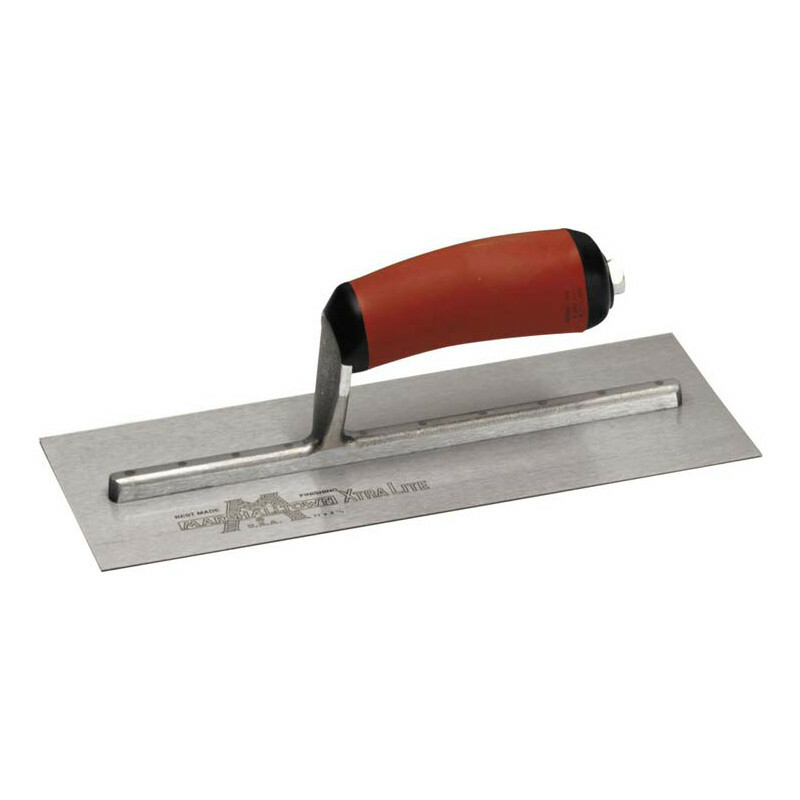 Marshalltown Finishing Trowel 13" x 5" Stainless Steel is rated 4.2 out of 5 by 5. Rated 5 out of 5 by Jb plastering from Blinding Superb trowel had few permashapes before but going back to the standard pre worn trowel as this is, i found it a lot more flexible making it easier to lay on and trowel up. Personally would never go back to the permashapes but as the saying goes "horses for courses". Rated 5 out of 5 by Whitebeam from Plastering Trowel The reason I bought the Marshaltown trowel was it is a carbon metal which for me gives a better finish on plasterwork, the price was the best I could find also.